Property investors benefit from student debt as it keeps the rental pool filled. More students are finding it harder to buy their own homes with thousands more in debt than ever before. As property investors are out there wheeling and dealing for new homes, commercial properties and/or plexes, a large majority of Generation Y are pedaling one trillion in debt. 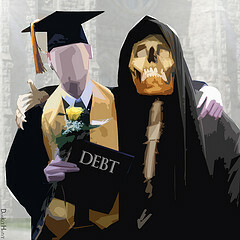 Student loans only account for a portion of Generation Y’s surmounting debt. Credit cards are responsible also. An inexperienced youngster might be easily tempted to use these cards irresponsibly and end up with a bad credit and, despite higher incomes earned from a college degree, the repayment of loans are deemed as a setback to home ownership. Select investors have stepped in where banks have left off, and have begun providing temporary rentals for students until their debts are cleared. Studies show that it takes the average person a few years to get a credit report in grade A shape for mortgage approvals. Property investors are directly tied to graduates with debt, which is approximately seven million people. This is because the rental supplies meet the demands for young people who are still managing debt. This service is simple – providing a nice space to live in outside of mom and dad’s home. 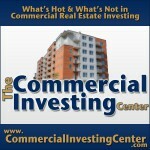 Even so, critics will tell you that there are periods of instability when it comes to investing in commercial properties. However, with proper management and advertising techniques, investors can ensure a constant supply of tenants by tapping into this pool of would-be renters. In this instance, it includes individuals who are too much into loan debt and unable to afford a mortgage. Check Employment Records – To verify that renters will be able to pay. Check Credit Reports – Even if banks deny mortgages for a less than perfect debt ratio, this does not spell a bad tenant. As long as there are no evictions or issues paying standard utilities, a prospect with a steady stream of income is a sign of a good renter. Hire A Property Manager – To lighten the load of managing a multi-unit investment property, a leasing manager can be hired to conduct all the tasks listed above.